Dr. Kevin Williams, the chief medical officer of Pfizer’s rare disease unit, plans to help educate the masses about sickle cell disease in a new column for the National Newspaper Publishers Association (NNPA). Earlier this year, Pfizer Inc. and the NNPA, a trade association of more than 200 African-American–owned media companies in the United States, announced a collaboration to raise awareness of sickle cell disease (SCD), a lifelong and debilitating genetic disorder that affects red blood cells. According to the Centers for Disease Control and Prevention, SCD occurs in 1 out of every 365 Black or African-American births. Williams said that the column is a part of the collaboration between Pfizer and the NNPA to raise awareness about SCD and the importance of clinical trial participation in the process for developing new medications. Individuals with rare diseases, like SCD, have unique and complex challenges, officials said, noting that the first initiative under the collaboration is a national poll, conducted in partnership with an interdisciplinary research team from Howard University in Washington, D.C.
SCD is the most common inherited blood disorder in the United States, affecting nearly 100,000 Americans. Although it affects many different ethnic groups, most people with SCD are of African descent. Access to care and delivery of innovative treatments prove to be among the most significant challenges faced by people living with SCD in America, medical experts said. 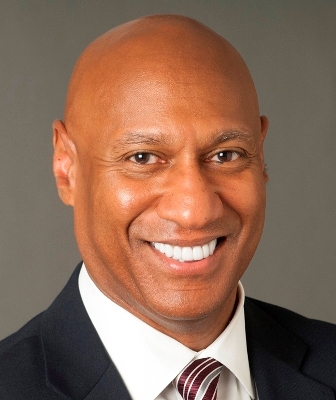 “As an African-American man, I am personally excited to be part of the sickle cell disease collaboration between Pfizer and the NNPA,” said Williams, who joined Pfizer in January 2004 as a medical director on the HIV field-based medical team and has been in multiple roles across several therapeutic areas within the organization over the years. Williams earned his medical degree from the UCLA School of Medicine in 1986 and, after completing an Internal Medicine residency at Cedars-Sinai Medical Center in Los Angeles, he returned to UCLA where he did a two-year fellowship in Health Services Research through the Division of General Internal Medicine and Health Services Research in the UCLA Department of Medicine. During his fellowship, he also graduated from the UCLA School of Public Health with a Masters in Public Health. A lack of African-American participation in clinical trials poses a significant hurdle to developing new treatments for those suffering with the disease, Williams added. “In fact, despite comprising 12 percent of the U.S. population, African-Americans make up only 5 percent of clinical trial participants,” said Williams.